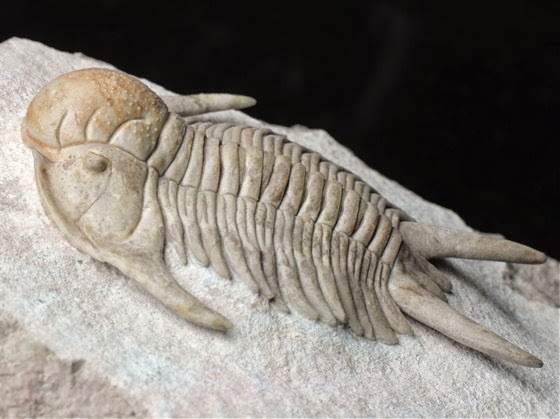 The Acanthoparyphinae is a lineage of epifaunal benthic trilobites known from warm-water palaeozooprovinces of Eurasia and North America in the Lower Ordovician to Upper Silurian. Members of the Acanthoparyphinae are characterised by a mature pygidium bearing two pairs of pleural spines, produced via the ontogenetic fusion of the ancestral four pairs (Přibyl et al. 1985).